America is heating up again a relatively forgotten “hot spot”. On March 29, 2017, American president Donald Trump signed a decree that claimed that some territories of Somalia were declared to be “area of active hostiles” for six months so as to fight against the international terrorism. On April 2, twenty military men of the US Army 101 st Airborne Division arrived in Mogadishu for training the division of the Somali National Army (SNA) and the International Coalition Force AMISOM. The number of the American contingent has been increased up to 50 soldiers and it will continue growing. On May 5, The United States Africa Command of the Pentagon (Africom) announced that one Navy SEAL was killed in fight and two other soldiers of the secret division were injured, including an American military interpreter, during a force action against the insurgents of the Somalian branch of al Qaeda - the organization Harakat al-Shabaab al-Muhajireen in Lower Shebelle region. This tragedy happened in a village Darussalam which was under control of Al-Shabaab (60 km west away from Mogadishu’s capital). According to non-proved data, the Somali Special Force supported by the Americans tried to destroy the Islamic radio station Radio Andalus and kill the high ranged commander of Al-Shabaab, Mohamed Abdurahman Vasame, with the nickname Mahad Karate. CIA considers that he arranged the terroristic attack on the Garissa University in Kenya which caused 147 deaths. The US were ready to give the award of five million dollars for this terrorist. However, Karate got away, and the head of the local division of the Islamic group, Maulina Osman Abdi Badilya, was killed. 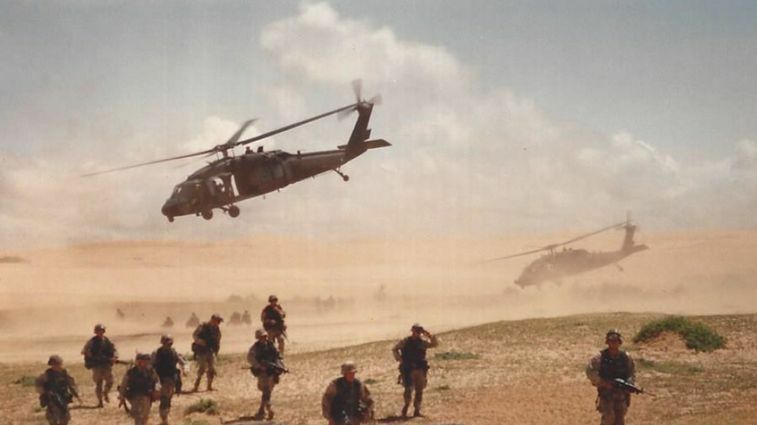 The Somali Special Force “Danab” (“Lightining”), which is the analogue of American Rangers, participated in this operation and was supported by the American counterparts. The death of the Navy SEAL has become the first death of an American soldier in Somalia in the last 24 years since the US Special force’s defeat on October 2-4 in 1993, which happened during a fight in Mogadishu against the divisions of the clan Habr-Gedir that belonged to the tribe Havije and its famous Somali field commander, General Mohamed Faraha Aidida. The US lost 18 soldiers in that fight , 70 were injured, and two military helicopters МH-60L Black Hawk were destroyed. They managed to break out of a fighting circle only when the UN military force helped them. The jubilant Somalis were dragging the bodies of dead American soldiers from the Ranger regiment and the Delta division in front of the cameras of the International media. This is an old story but it is disgraceful for the US. In fact, the US lost the battle and, in general, the fight for Somalia because they did not understand local realities and a clan-tribe situation. As usual, they acted in their traditional style: they did not figure out the situation when they decided on the intervention together with the UN and they made a bid on one side of the internal conflict - the clan Abgal of the clan-tribe union Havije. The representative of the clan, Mohamed Al Mahdi, managed to become a president at that time. The rest became automatically an enemy for the American intervenors. The ethnic Somalis are divided in six main clan-families which are called tribes: Darod, Dir, Isak, Rahanvein, Digil, Havije. The clan-families consist of clans and the clans consist of sub-clans and it goes on until separate families. The hostility of the relative clans from a tribe and families from a clan is usually more violent than a fight with outsiders. Since 1991 everyone has been fighting everyone in this country, and the north territories, Somaliland and Puntland, have been separated. And even the Islamic “international” Al- Shabaab has clan’s contradictions, without mentioning the federal government of the country which controls only several capital blocks. Among other things, the current president of Somalia Mohamed Abdullahi Mohamed has an American citizenship. Clan’s contradictions are the main reason of the non-stoppable civil war that has lasted for more than 25 years in the country. Neither Americans no Europe can understand it. They tried many times to impose “the West democracy” scheme on an atomized Somalian society and, finally, got rid of this idea. Arabic countries, Turkey, Ethiopia understand this clan “mess” pretty well and use it for their purpose: they stir up Somalian groups and movements against each the others and gain their political bonuses. For many years, the US have not used the ground forces and attacked Somalian Islamists from their unmanned aircrafts and have used the same schemed that they apply in Pakistan, Yemen, and, now, Lybia. Former President Barack Obama tried not to consider Somali. But the situation has changed since Trump became a president. Obviously, he wants to get the same certain result there as he wants it in other hot spots in the world. And here is the memory of the disgraceful defeat in 1993 that bothers the Pentagon. Trump and the United States Secretary of Defense James Mattis try to take a revenge but the repeat of the same failure is too obvious. They did not learn any lessons from that war, they forgot them. And now everything is repeating again.